In the past 50 years, the amount of water in the open ocean with zero oxygen has gone up more than fourfold. In coastal water bodies, including estuaries and seas, low-oxygen sites have increased more than 10-fold since 1950. Scientists expect oxygen to continue dropping even outside these zones as Earth warms. To halt the decline, the world needs to rein in both climate change and nutrient pollution, an international team of scientists including Lisa Levin, a biological oceanographer at Scripps Institution of Oceanography at the University of California San Diego, asserted in a new paper published Jan. 4 in Science. The study came from a team of scientists from GO2NE (Global Ocean Oxygen Network), a new working group created in 2016 by the United Nation’s Intergovernmental Oceanographic Commission. The review paper is the first to take such a sweeping look at the causes, consequences and solutions to low oxygen worldwide, in both the open ocean and coastal waters. The article highlights the biggest dangers to the ocean and society, and what it will take to keep Earth’s waters healthy and productive. In areas traditionally called “dead zones,” like those in Chesapeake Bay and the Gulf of Mexico, oxygen plummets to levels so low many animals suffocate and die. As fish avoid these zones, their habitats shrink and they become more vulnerable to predators or fishing. But the problem goes far beyond “dead zones,” the authors point out. Even smaller oxygen declines can stunt growth in animals, hinder reproduction and lead to disease or even death. It also can trigger the release of dangerous chemicals such as nitrous oxide, a greenhouse gas up to 300 times more powerful than carbon dioxide, and toxic hydrogen sulfide. 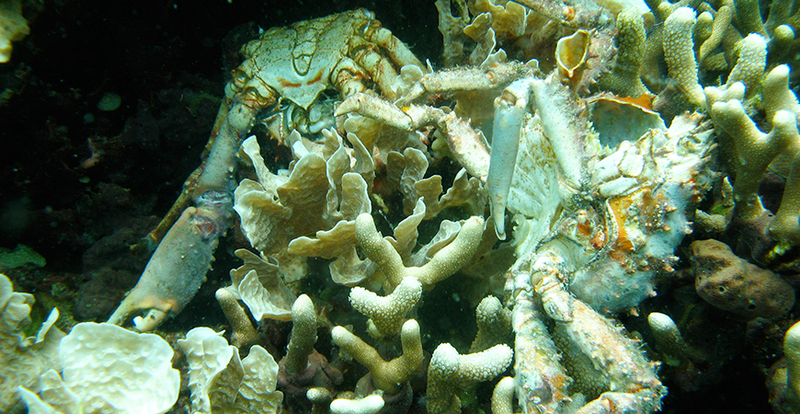 While some animals can thrive in dead zones, overall biodiversity falls. Climate change is the key culprit in the open ocean. Warming surface waters make it harder for oxygen to reach the ocean interior. Furthermore, as the ocean as a whole gets warmer, it holds less oxygen. In coastal waters, excess nutrient pollution from land creates algal blooms, which drain oxygen as they die and decompose. In an unfortunate twist, animals also need more oxygen in warmer waters, even as it is disappearing. People’s livelihoods are also on the line, the scientists reported, especially in developing nations. Smaller, artisanal fisheries may be unable to relocate when low oxygen destroys their harvests or forces fish to move elsewhere. In the Philippines, fish kills in a single town’s aquaculture pens cost more than $10 million. Coral reefs, a key tourism attraction in many countries, also can waste away without enough oxygen. Address the causes: nutrient pollution and climate change. While neither issue is simple or easy, the steps needed to win can benefit people as well as the environment. Better septic systems and sanitation can protect human health and keep pollution out of the water. Cutting fossil fuel emissions not only cuts greenhouse gases and fights climate change, but also slashes dangerous air pollutants like mercury. Protect vulnerable marine life. With some low oxygen unavoidable, it is crucial to protect at-risk fisheries from further stress. According to the GO2NE team, this could mean creating marine protected areas or no-catch zones in areas animals use to escape low oxygen, or switching to fish that are not as threatened by falling oxygen levels. Improve low-oxygen tracking worldwide. Scientists have a decent grasp of how much oxygen the ocean could lose in the future, but they do not know exactly where those low-oxygen zones will be. Enhanced monitoring, especially in developing countries, and numerical models will help pinpoint which places are most at risk and determine the most effective solutions. Smithsonian Institution: Kristen Minogue (443) 482-2325 minoguek@si.edu, or John Gibbons (202) 633-5187 gibbonsjp@si.edu.